Perennial mandevilla vines are native to South and Central America. Plants are often grown as an annual in colder climates, but with proper winter care, the plant can survive in any climate. 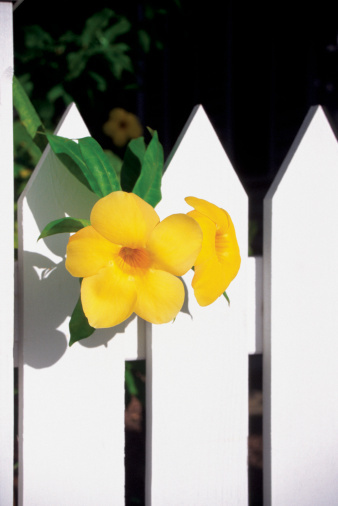 Mandevilla vines grow 6 to 10 feet tall with trumpet-shaped red, pink, yellow or white flowers depending on the variety. 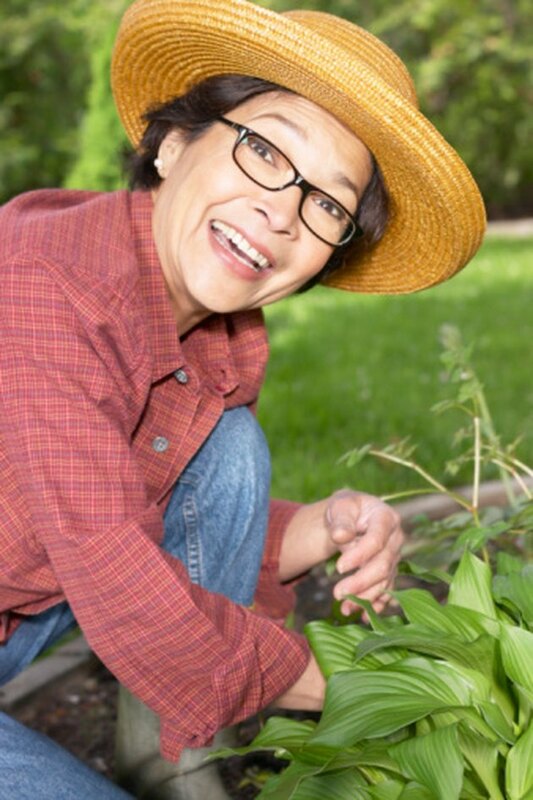 Plants will produce flowers during summer and into fall with the proper soil conditions and care. Select a location for placing or planting the mandevilla where it will have at least six hours of sunlight. Plants require enough sunlight to encourage blooming. Plant the mandevilla plants in a garden or in a container. Plant mandevilla plants in equal parts of garden soil, humus and coarse sand so the soil has good drainage. Proper soil is vital to blooming. If using a container, it must have drainage holes in the bottom for excess water runoff. Water the mandevilla two to three times a week to keep the soil moist during the growing season. During winter, reduce watering to once a week or so the soil dries slightly between waterings. Mandevillas become stressed when starved for moisture and blooming can be reduced. Fertilize mandevilla vines with a high phosphate fertilizer such as 5-10-5 NPK water soluble fertilizer every three to four weeks in spring and summer to encourage blooming. Stop fertilizing in fall and winter. Pinch back new flower buds when the buds are just emerging to promote a bushier plant. When bringing the plant indoors before the temperatures drop below 50 degrees Fahrenheit, use a pruning shears to remove at least the top 3 feet of the plant. Before moving the plant outdoors in spring, prune another 2 feet from the vine to make room for new growth and flowering.